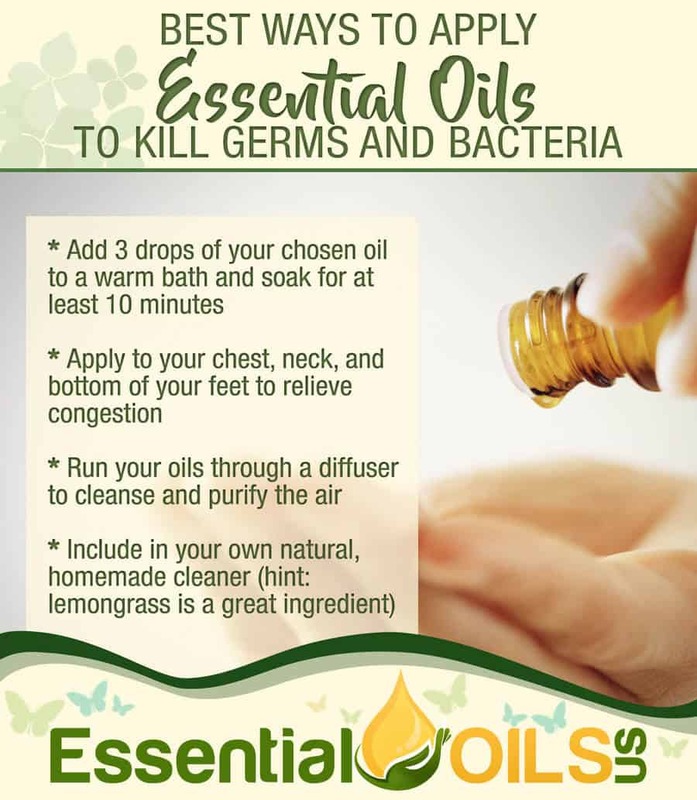 There is a surprising amount of research that documents the efficacy of essential oils on killing germs and bacteria. And to single out one oil would be frivolous, considering the countless oils that contain anti-viral, anti-bacterial, and countless other properties. Maybe it’s one of those dreadful times where it seems like everyone around you has a cold or the flu. And you want to do everything it takes to stay healthy. 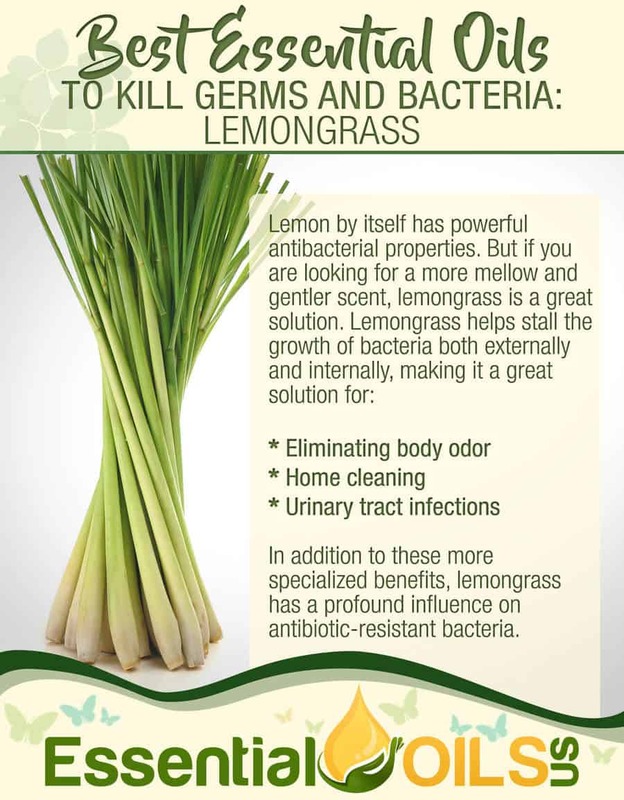 Well, essential oils offer a healthy, 100% natural solution for improving and maintaining your health. Below you’ll find the five best essential oils for fighting sickness and germs. Not only do these oils conclude with firsthand accounts, there are a portfolio of studies that back up the claims. 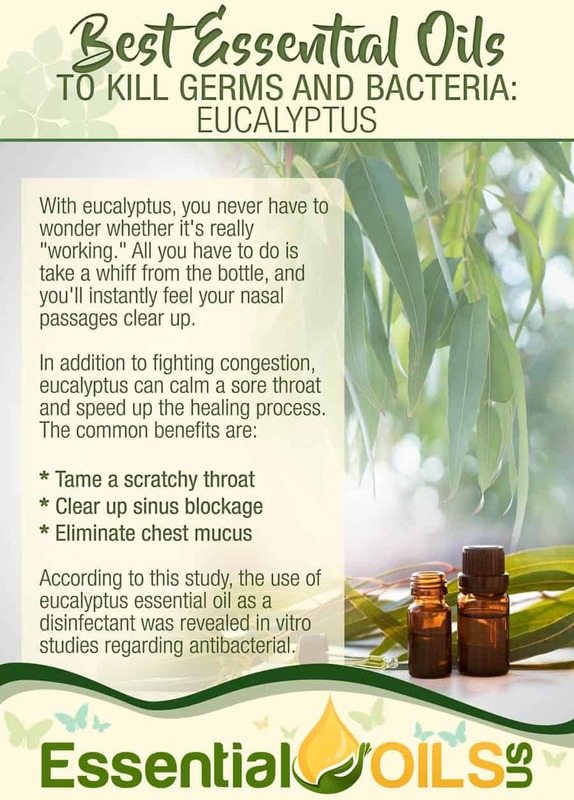 With eucalyptus, you never have to wonder whether it’s really “working.” All you have to do is take a whiff from the bottle, and you’ll instantly feel your nasal passages clear up. According to this study, the use of eucalyptus essential oil as a disinfectant was revealed in vitro studies regarding antibacterial. In the medicinal field, inhalation therapy of essential oils has been used to treat both acute and chronic bronchitis as well as acute sinusitis. Inhalation of vapors of essential oils augmented the output of respiratory tract fluid, maintained the ventilation and drainage of the sinuses, reduced asthma, and had an anti-inflammatory effect on the trachea. 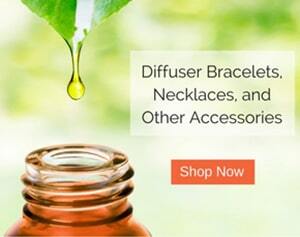 After learning about the remaining 3 oils, don’t forget to browse our diffuser jewelry! 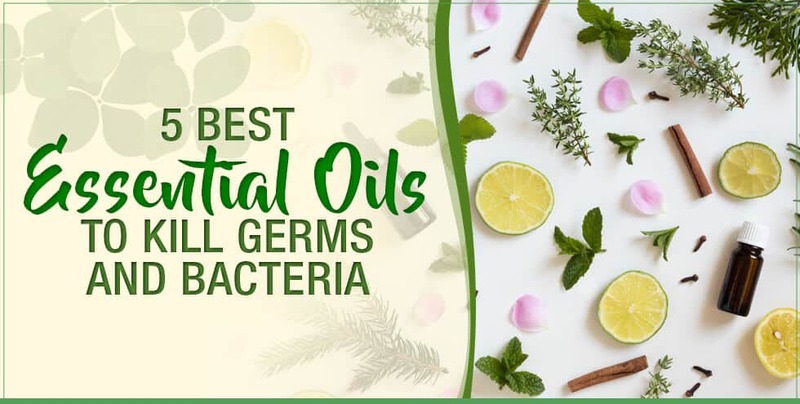 This list doesn’t even include the many household uses tea tree has to offer – everything from insect repellent to mold killer to household cleaner. Records reveal that tea tree has been used for thousands of years, and science is finally catching up. 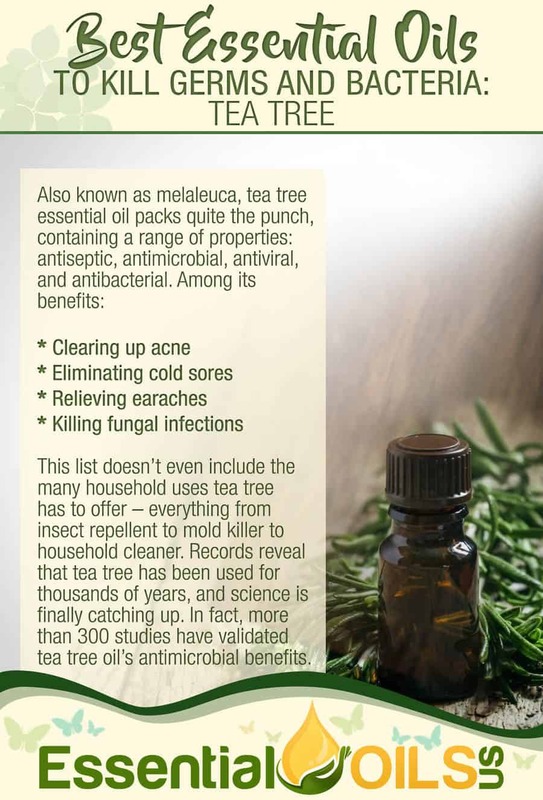 In fact, more than 300 studies have validated tea tree oil’s antimicrobial benefits. 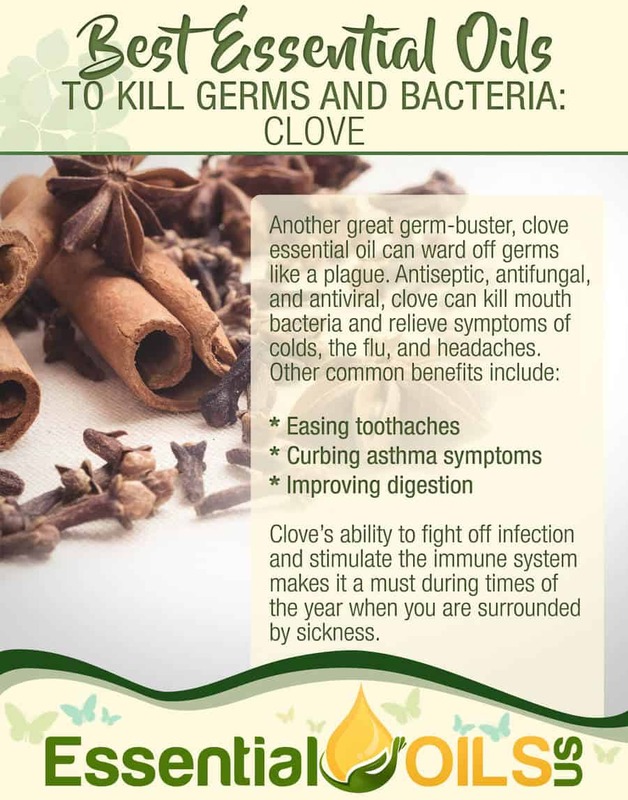 Clove’s ability to fight off infection and stimulate the immune system makes it a must during times of the year when you are surrounded by sickness. I’m looking for a in home diffuser for oils? Thanks for your question! We do not offer stationary, in-home diffusers. Just portable diffuse jewelry. 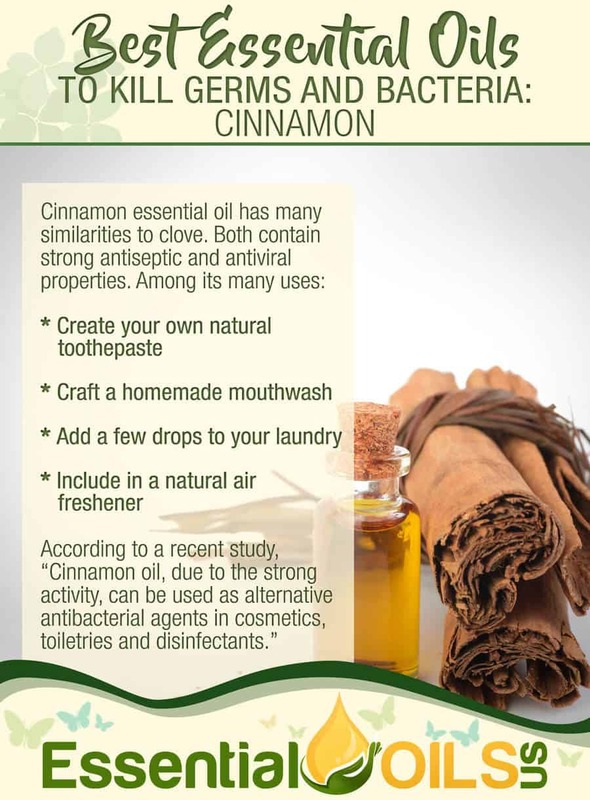 But you can perform a simple “essential oil diffuser” search on Google and you will find a variety of options.